Over the last decade, the annual proclamation could be heard ‘round the ecommerce world: “This is the year of mobile!” Then again, “NO — THIS is the year of mobile!” which, of course, was followed by, “OK now, NOW is the year of mobile!” At some point within the past five years, we actually did arrive at the year of mobile. However, it is the nature of the industry that nothing is ever set in stone. Much like the ever-changing landscape of the internet performance marketing is an ever-changing work in progress. While we may be deep into “the year of mobile”, not everyone has joined the party. Although many have a website that is optimized for mobile, there are fewer brands that have launched an app. Those are the brands that are missing out—and here’s why. A recent report by Criteo highlights the disparities in retail success between apps and mobile websites. More importantly, the study uncovers that mobile apps deliver 54% of mobile transactions per retailers—a 7% increase year over year. The study completes the storyline considering that apps have a higher conversion rate than any other channel of online shopping converting 3x more than mobile websites, according to Branch.io. Per Branch.io, mobile users spend 20X more time on apps than they do mobile websites. In addition, there is a 70% higher in-app purchase rate for users who enter a mobile app directly from a smart banner, or banners that live at the top of a mobile site directing you to the app or app store to download when clicked. These banners also drive a 2.6X higher in-app purchase rate for users installing an app from a smart banner. Beyond the stellar performance of mobile app transactions, they are also helping to make the entire customer journey more efficient. According to the Criteo study, mobile apps are 2X more likely to bring a new user back within 30 days as compared to the mobile web. These are user retention and customer value stats that brands strive for—and here they are, driven mobile apps. On a more anecdotal level, it’s clear why apps continue to pull ahead of mobile and desktop purchases. While some, especially younger demos, may be reluctant to devote precious space on their smartphones to yet another download, apps have proven over and over to offer a better experience to the user. Mobile apps often serve up a much cleaner and more comprehensive display than mobile versions of the retailer’s website leading to an easier browsing and checkout process overall. Adapting desktop sites for mobile usage barely scratches the surface of the full advantage of a mobile app platform. Ease of login is yet another perk of the mobile app. Consumers often have the option to add credentials to their account through the app only once and stay logged in. This streamlines the process and negates the annoyance of logging in — and remembering yet another password — every time they want to make a purchase. Factor in phones that utilize Touch ID and it takes only seconds for consumers to be securely shopping anywhere at any time. Better yet, keeping track of rewards, tracking a package or making returns is just a click away in an app. Removing this hurdle from the shopping journey simplifies the experience and makes it more desirable to the consumer. As a test, a new feature was recently enabled in the mobile version of Google’s Chrome web browser. Currently, Google Chrome web browser has a 53% mobile browser market share —the largest of any mobile browser. Akin to Apple’s iBeacon technology, this Physical Web feature will, immediately, connect a mobile user to any beacon located in a nearby physical location — think retailers, coffee shops, banks, or, well, anywhere. It only takes a single click of the search bar. Beacons give brick-and-mortar retailers a direct connection to nearby mobile users. They allow those browsing to discover content on the “physical web” or items of interest broadcasted by the retailer. Mobile users are instantaneously connected to a URL posting relevant deals via Bluetooth—the perfect opportunity to implement a smart banner and encourage a mobile app download. Mobile users can access coupons online and present them at an in-store checkout through a site-to-store campaign. Properly set up, site to store allows the merchant to track in-store sales directly back to the affiliate who drove the brick-and-mortar sale. 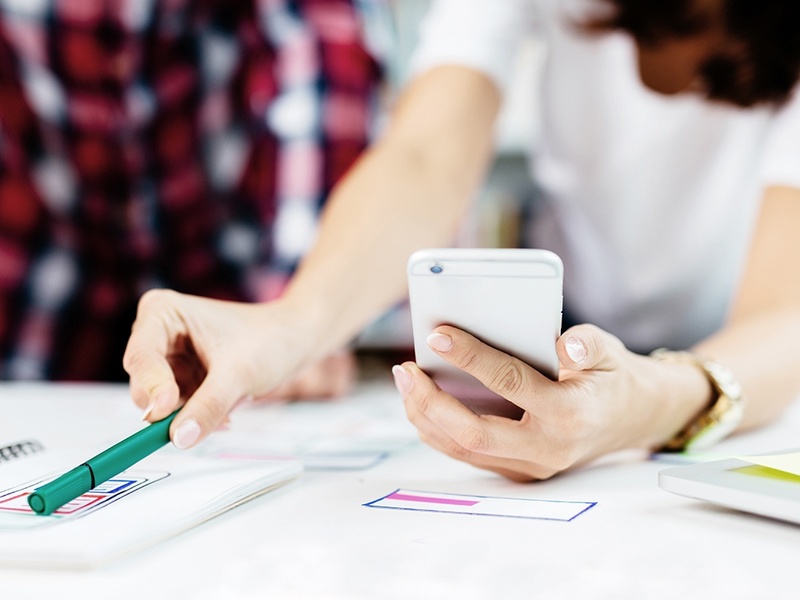 Micro-Moments are marketing-fueled, mobile-centric tactics—critical touchpoints within the consumer journey that determine the outcome of their buying experience. They take advantage of mobile’s ability to geo-locate and allow for instant commerce. Brands that are aware of the impact a micro-moment has on a shopper’s intent to buy, have quickly adopted strategies to leverage them. Airbnb gives tourists a locally customized experience with Hosted Walks through mobile; Dunkin’ Donuts caters to the caffeine-crazed with Time to Coffee, an Adwords-promoted microsite mapping locations in the immediate vicinity; Sephora uses micro-moments to turn smartphones into local store magnets through Google’s local inventory ads, serving up products available in stores nearby. Mobile apps give retailers the power to reach their consumers, wherever they are, with a simplified shopping process. Without a comprehensive app that provides a clean experience for engaged consumers, retailers are opening the door for competitors to swipe their sales.